Awards are given to Realters who have shown exemplary performance of the shared values based on testimonies and feedback from the clients, customers, and peers. 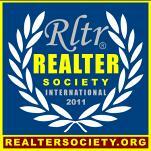 Awards are also given to Realters who author articles that are published in the Realter Society Journal. ► Step 1. FEEDBACK. Realter Society receives emailed feedback from clients, customers and peers. ► Step 2. REVIEW. Registrar assigns the case to a peer who will then adjudicate the validity of the appreciation and returns a recommendation to the Registrar. ► Step 3. AWARDING. Registrar informs the registrant about the Award. The award may be printed, etched, or embossed on a paper certificate, a wooden plaque, a banner, a trophy, or a ceramic plate; and may be claimed at non-profit cost of P1,000 to cover the cost of customized fabrication, plus handling and courier.